The interment of Japanese-Americans during World War II was one of the most shameful abuses of governmental power in U.S. history. But it did not go uncontested. Fred Korematsu, one of those interned Japanese-Americans, challenged the constitutionality of President Roosevelt’s internment program in the Supreme Court. 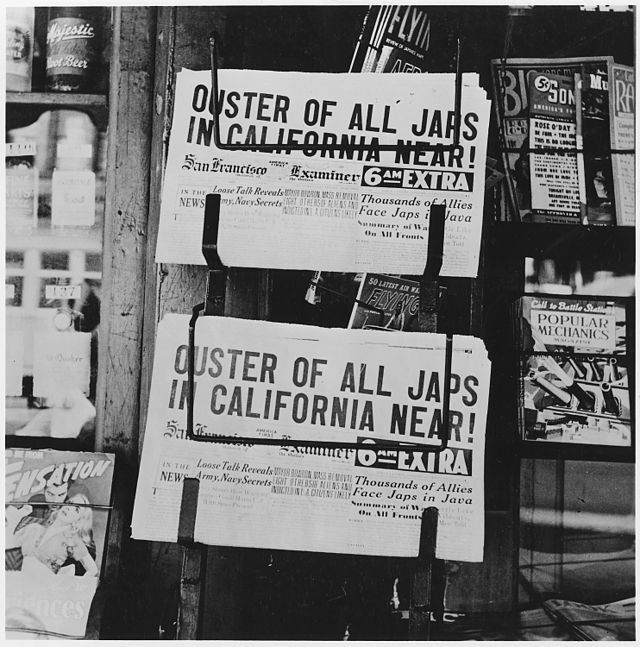 In a controversial decision, the court ruled 6-3 in favor of the government’s policy and against Korematsu. But the legacy of his courageous act remains today. Emma Bodisch produced “Liberty Revoked: Korematsu v. The United States,” a Texas History Day documentary on the story of Fred Korematsu, Japanese interment and his courageous, but ill-fated, fight against injustice. You can watch the film below and read her process paper through the link above. For last year’s National History Day l created an exhibit that focused on the Chinese Exclusion Act of 1882. The topics of racism and abuse of Asian Americans in America are often overshadowed by the historical mistreatment of Native Americans and African Americans. As an individual of Asian descent, these topics strike close to home, and I believe they deserve the same amount of exposure. After reading several books about World War Il and Japanese internment, I decided to center my project on Korematsu v. the United States, in an effort to educate and inform others about key pieces of American history that they may not have had the chance to learn about before, and that are still relevant America today. My topic is a clear illustration of this year’s theme, “Rights & Responsibilities.” Focusing on the case of Korematsu v. the United States shows the violation of rights that Americans of Japanese descent faced during World War II, and it highlights an ordinary man who shouldered the responsibility to stand up against the government for the rights of all Americans. The story of Fred Korematsu reminds us that it is our responsibility as citizens to speak up if we think actions taken by the military or government violate the Constitution, and that the voice of Americans carries weight and importance in our democracy.